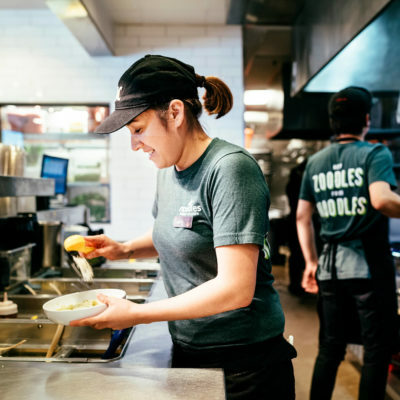 At Noodles & Company we’re real people who treat each other like real family and are always open to making new friends. Together we create craveable flavors from around the globe, where every recipe is made to order and every ingredient is something to feel good about. But we’re still individuals with unique goals and different passions. After all, one person’s Wisconsin Mac & Cheese is another person’s Penne Rosa, and that’s the way it should be. We give people the space they need to work a few hours a week or buckle-in for a life-long career. So whether you’re working in a restaurant, out in the field or at our corporate offices in Colorado, we’ll help you pursue your passions and get involved with the community you serve. We’re a company that cares and it shows. If you’re motivated, we’re behind you all the way. We always look to mentor, train and develop Noodles team members for their next opportunity. 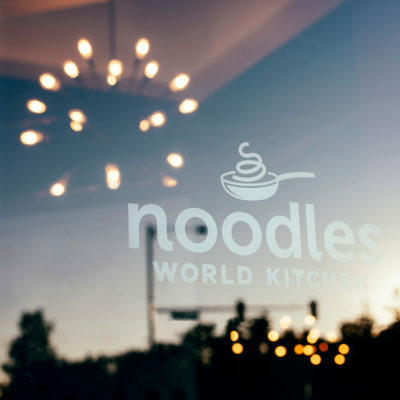 We encourage and support your growth and development and will help to build both your leadership and technical skills to help you take the next step in your Noodles career. We’ve built a company on that premise—and redefined restaurant dining in the process. We look forward to helping you become the person you’re destined to be as you create your road trip to success as a Noodler.